The post Get a Grip: The Week in Sports Betting appeared first on SportsHandle. Here’s the weekend Sports Handle item, “Get a Grip,” rounding up top stories in sports betting and gaming, and the world of sports at large. You may have missed them, and they are worth reading. This is meant to be brief, so that’s it. It’s been a busy week in the virtual world of sports betting, as MGM finally dropped its mobile app in New Jersey. The company soft-launched the app for Android users on Wednesday with the intention of making it more widely available in the coming weeks. 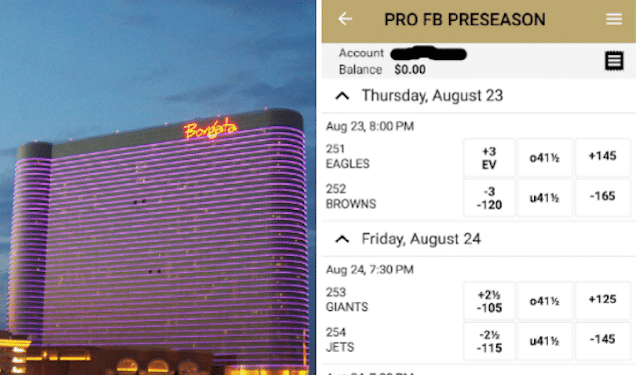 The playMGM NJ Sports app was released through the MGM-owned Borgata in Atlantic City will give company to the DraftKings Sportsbook, which had fully launched on Aug. 6 and remained the only online sports betting app available in New Jersey. The current version of the app offers tons of betting opportunities, including straight bets, futures, props, and parlays available. The professional (NFL) and college football menus are queued up with a wide variety of different player and team props, futures and totals. The only thing that appears to be missing the chance for in-play wagering. PlaySugarHouse.com, owned by Rush Street Gaming, followed a day later when it launched an online betting platform, also for New Jersey users. What’s special about this one is that it integrates the new sports wagering opportunity for state residents with its already operating online casino. Rush Street’s platform is the third to be introduced in the Garden State this summer, with plenty more sure to come. Illinois Holds First Gaming Hearing: Lawmakers are starting to lay the groundwork for sports betting in Illinois and on Wednesday, heard from gaming stakeholders ahead of an October meeting that will feature sports betting as one of the key topics. Is the Time Right? : According to a study presented to Kentucky’s working group on sports betting, despite struggles in the past, now may well be the time to legalize sports betting. Bookies in the Legalized Sports Betting Market: Sports betting and other forms of illegal gambling used to take up lots of space in the justice system, but according to former Brooklyn and Bronx Criminal Courts judge John Wilson, not so much anymore. Read the entire Get a Grip: The Week in Sports Betting on SportsHandle.